An Egyptian sarcophagus mask of a woman dating back nearly 3000 years is on offer at next month’s TEFAF New York. 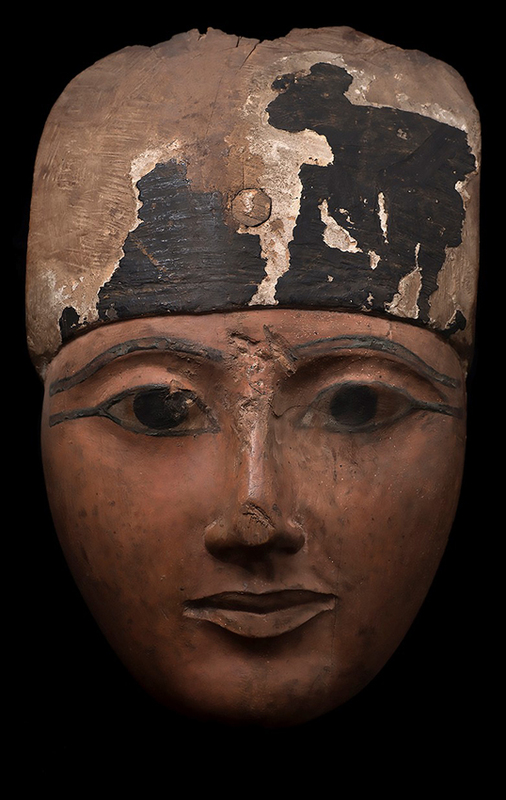 Charles Ede brings this Egyptian sarcophagus mask, once owned by Victorian collector Henry Pitt-Rivers, to TEFAF New York where it is offered for £65,000. The wooden carving was made c.943-716BC in the city of Thebes, a now ruined city that was a cult centre for the ancient Egyptians. Masks were an important part of Egyptian burials, providing the dead with a face in the afterlife and allowing the spirit to recognise the body. They were also part of the elaborate precautions taken by the ancient Egyptians to preserve the body after death. Though initially made just for royalty, later masks such as this one were made for males and females of other elite classes. The piece measures 8in (20cm) high and is painted in ochre red, the cosmetic lines, eyebrows and pupils in black and the white of the eye in white. Now offered for £65,000 from London dealership Charles Ede, this mask is unusual in featuring a provenance with an exact date for its sale to Lieutenant-General Henry Lane Fox Pitt-Rivers (1827-1900) of Dorset. He acquired it from ‘W. Talbot Ready, Rathbone place, London, W’ for £1.15 on March 17, 1891. Before purchasing the mask he had opened a personal museum on his estate in Farnham. The collection eventually grew so large that in 1873 he decided to move it. It ended up as the Pitt Rivers Museum in Oxford University in 1882, though he would later open up another museum back on his estate.